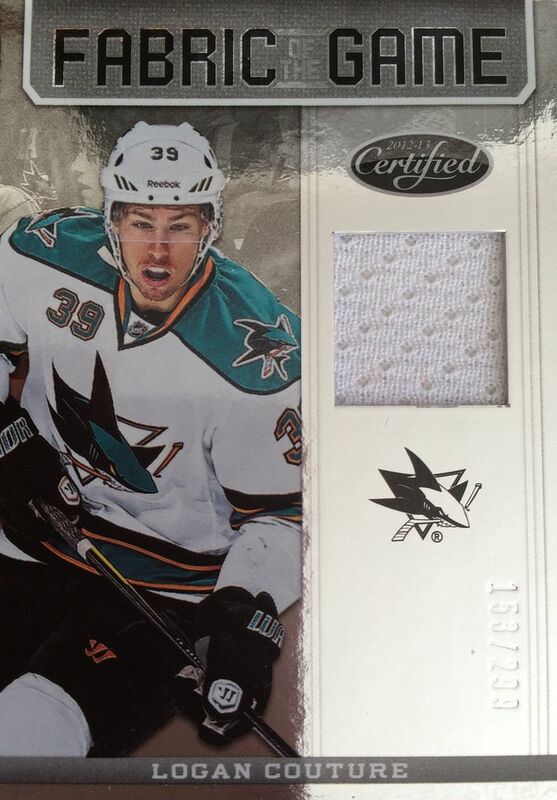 It's a hat trick of sorts... third week in a row with a blaster of Panini Certified. 12/13 was a year that wasn't so great for hockey as there was a lockout that season. Trading cards from that year were really impacted as the rookie crop was really cut down. Collectors can find some pretty good deals on products from that year now if they want to find something to break without breaking the bank. Just like the previous two Certified breaks, this blaster only comes with three packs - so it'll go by very quickly. I'm expecting to get one hit in those three packs. Since I know there will be a hit coming, the hope is to find a card with ink on it. Autographed cards are just about always preferred in comparison to memorabilia cards. Only the craziest memorabilia cards can beat an autograph in my opinion. I don't remember buying too much 12/13 Certified when it came out. I may have just gotten a hobby box or two of the product. I do know, however, that I wasn't as keen on the cards as I had been with the previous years of Certified. It'll still be fun to see what's in here though. This was a decent blaster - especially since I was able to get a hit of my favorite player. The blaster delivered exactly what I expected it to. There was one all-base pack, a pack with a numbered insert card, and then the pack with a hit in it. 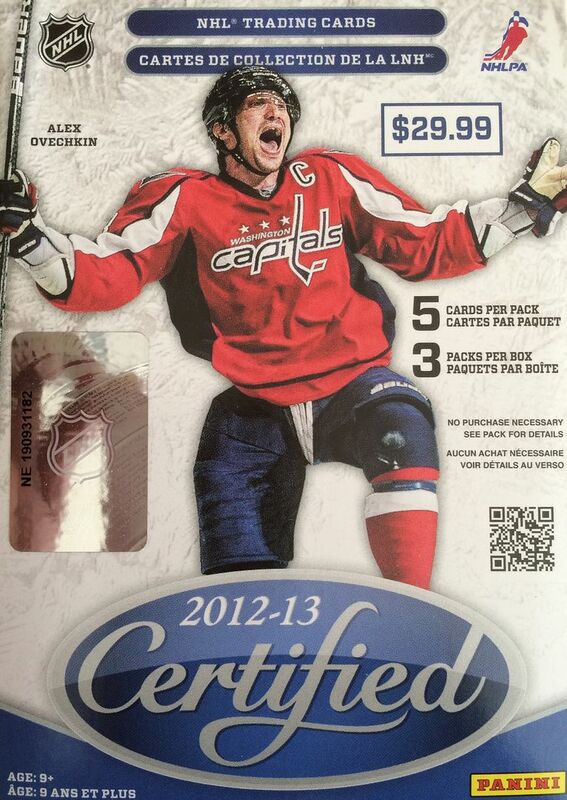 If you're looking to get as many hockey cards to enjoy as you can, this is not the product for you. I would steer you more towards OPC or Upper Deck. A product like Certified is for the more seasoned collector who wants to pick up some quality cards when they are at a retail establishment. This was probably my favorite base card of the blaster. 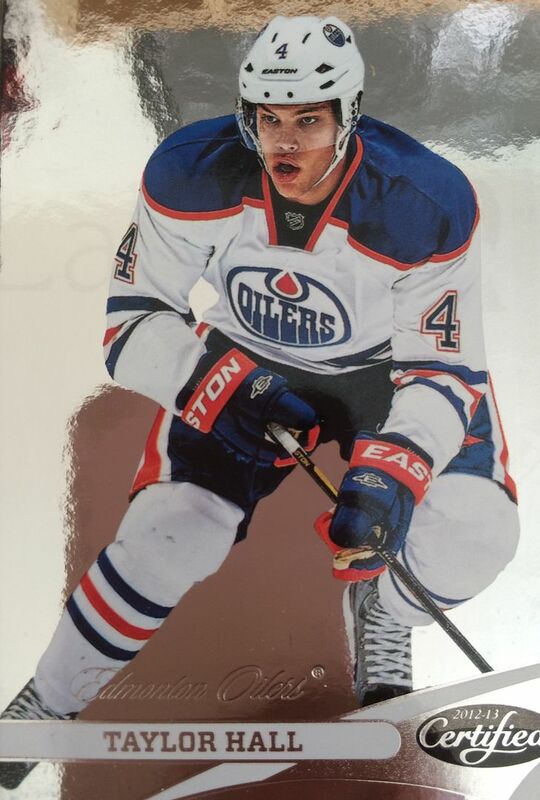 Taylor Hall was so hot as a rookie back in 2010/11. I still am pretty excited when I get one of his cards. Let's just hope his team and the talent around him can reach their potential soon! 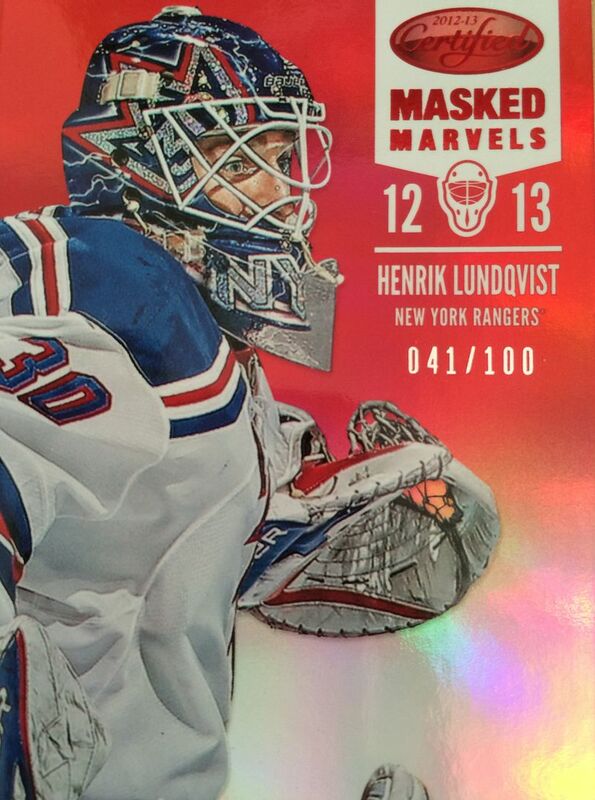 Besides it being a serial numbered card of a star goalie, this card looks awesome. The red shimmer on the front looks outstanding. Though many of the cards in this release aren't the best in terms of design, this card isn't one of those. I really like the look here. Wow, actually got my favorite player as the hit in the box... that's sweet! I just wish it had some ink on it. But that's ok, I can't be too greedy! I'm pretty happy with this card even though I have a copy of it in the collection already. For about a third of its original price, this blaster was very nice. I would definitely get more of these if I saw them at this good of a value. I'll have to look into finding more of these and getting my hands on them!